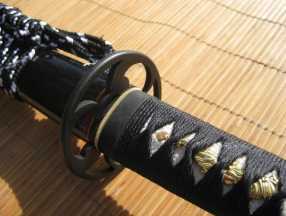 Model 001 of the Dojo Pro series is called the Tomoe due to its distinctive triad, comma shaped, solid iron (tomoe style) tsubu – an exact copy of an actual edo era antique that symbolizes the ‘cycle of life’. 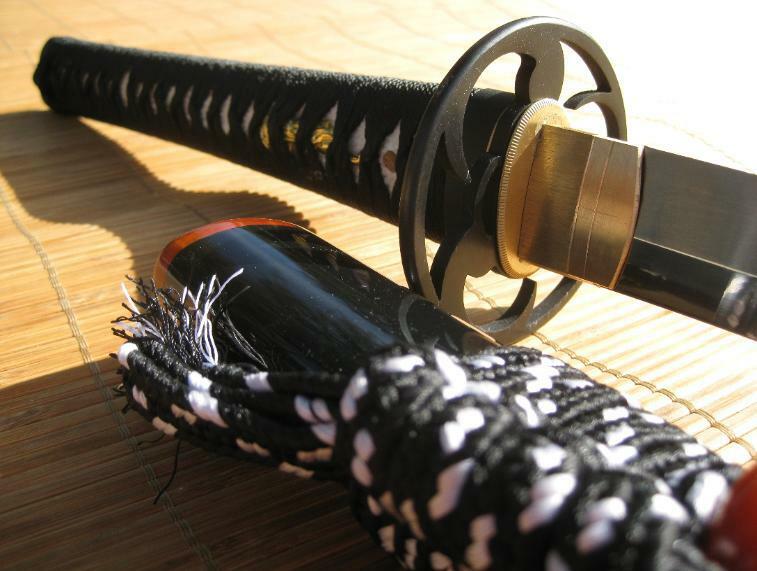 The tsuka/handle assembly itself is exceptionally tight and well put together, double pegged with silk ito wrapped over REAL rayskin (tied in the traditional alternating style to prevent the ito moving during use), all tightly bound to a quality wooden core. As you can see from the picture, these swords feature high end brass seppa (spacers) and habaki (blade collar) as well as hard wearing intertwining black and white sageo to tie the saya to your obi (belt). The saya (sheath) itself thick and made from dense, high quality wood, after all you don’t put hand cut and polished buffalo horn Kurikata, Koguchi and Kojiri on an inferior saya (in the case of the Tomoe – the saya is black and the buffalo horn accents a rich chocolate brown that reveal a reddish underhue when exposed to direct sunlight). These 1060, through tempered non nonsense monosteel blades are exceptionally HONEST and RELIABLE. 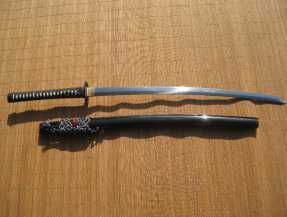 This is my first katana. 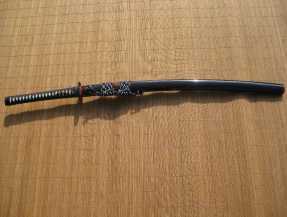 I was skeptical about making an online purchase of an "sight unseen" item especially after reading so many negative reviews about other online sword sellers. I took a gamble & won big. SBG has earned my trust & respect. This is an entry level "dojo cutter" but it is a quality product & deserves respect when held. SBG, Doumo arigatou gozaimasu!